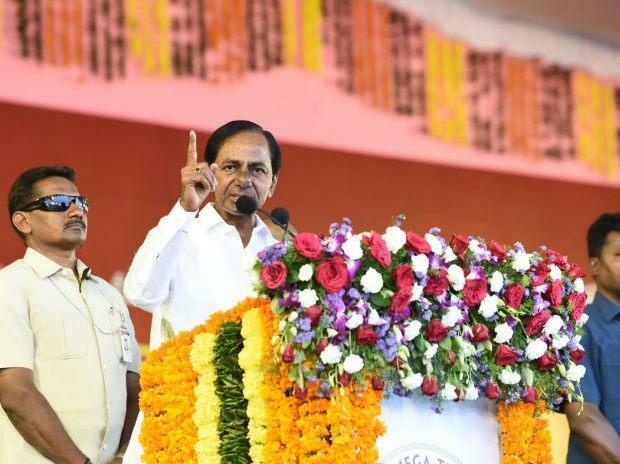 Within days of proposing a “non-Congress, non-BJP front, Telangana Chief Minister and Telangana Rashtra Samithi (TRS) chief K Chandrasekhar Rao (KCR)has received support from several political parties including the Mamata Banerjee-led Trinamool Congress. Former Jharkhand Chief Minister Hemant Soren and Hyderabad lawmaker Asaduddin Owaisi were the other leaders who have extended their support to the TRS chief. The chief minister, on Saturday, had expressed his wish to join national politics to effect a “qualitative change”, while accusing successive governments ruled by the Congress and the BJP at the Centre of having “miserably failed” to ensure development. “Since morning, I have been receiving many calls from various places in India. Today afternoon, West Bengal CM Mamata Banerjee called me and said that I have taken the right decision and she will be supporting me,” Chief Minister Rao said while addressing a huge crowd at his official residence, Pragati Bhavan in Hyderabad. “Farmers, Dalits, most backward classes are neglected. This situation should be changed. How long do they need to face problems. This has to change and this is not possible from these two parties. Hence, a non-Congress, non-BJP front should be formed in the country,” Rao said. JMM leader Hemant Soren and AIMIM chief Asaduddin Owaisi have also expressed their solidarity. “Former Jharkhand chief minister Hemant Soren also called, telling me that he is standing behind me. Soren also told me that he is trying to speak with many other people in India and will meet up soon and speak on the issue,” said Rao. He was addressing a gathering of prominent TRS leaders, ministers and elected representatives of the party at Pragathi Bhavan, his official residence in Hyderabad.